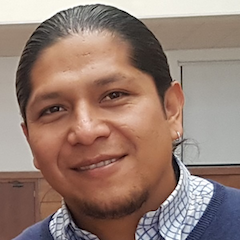 Juan Diego Andrango is a collaborator at the Confederation of the Indigenous Nationalities of Ecuador (CONAIE) in Quito, Ecuador. Juan Diego Andrango es colaborador en la Confederación de Nacionalidades Indígenas del Ecuador (CONAIE) en Quito, Ecuador. This silence and the words that are missing in the communication spaces helps me think that we need to find different ways to respond to media.